the Test Sieves for Laboratories is Bastak branded and its model is 8000. 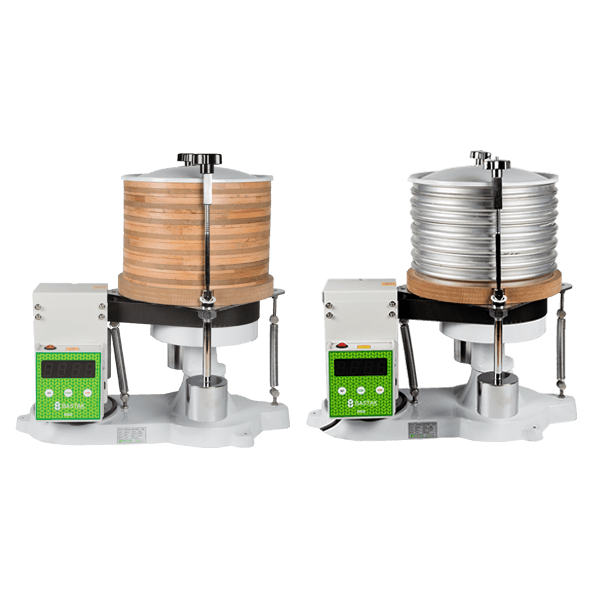 The device is used for analysing the homogeneity and the particle size of the flour, and the rates of particles to each other. Furthermore, it is used in adjusting the distances of the rolls at the flour factories and in controlling the sieving system by supervising the daily production. It is with microprocessor control. There are power, start and emergency stop buttons and warning lights on the control panel. After 5 minutes of testing, the device automatically stops and gives out visual and audible warning. When the wooden hoops of the device are replaced with aluminium hoops, in addition to the flour industry, the device can also be used in categorizing the spices by sieving them in the spice industry and in categorizing the solid products such as soil, sand and stone by sieving them in mining and construction industry. 7 wooden hoops are supplied with the device. 1 collection container is supplied together with these hoops. The outside dimensions of the device are 300x580x670 mm and its net weight is 50 kg.